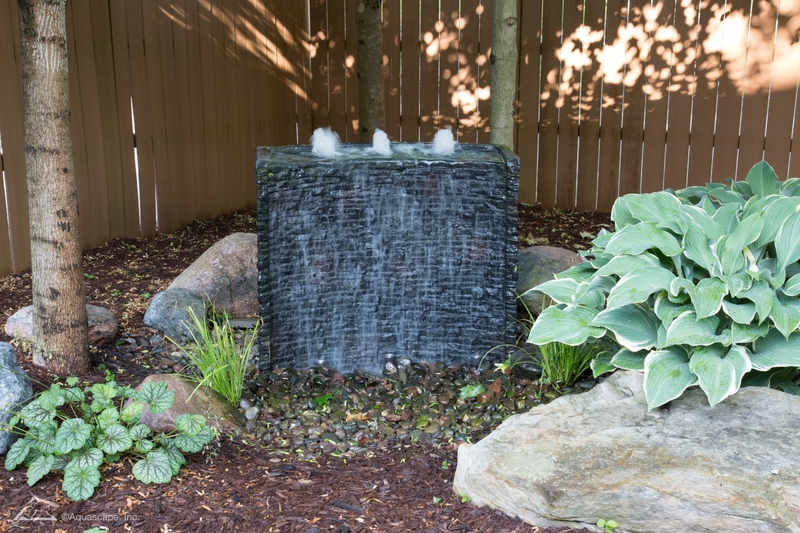 This stacked spillway is a stunning addition as it provides the relaxing sounds of water at any point in a stream or corner of the yard. 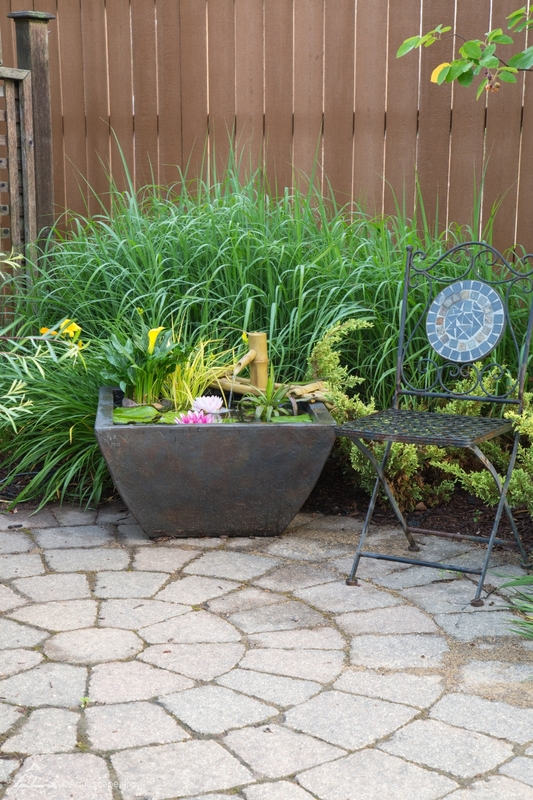 Finding the right spot for your backyard water feature is the first step. 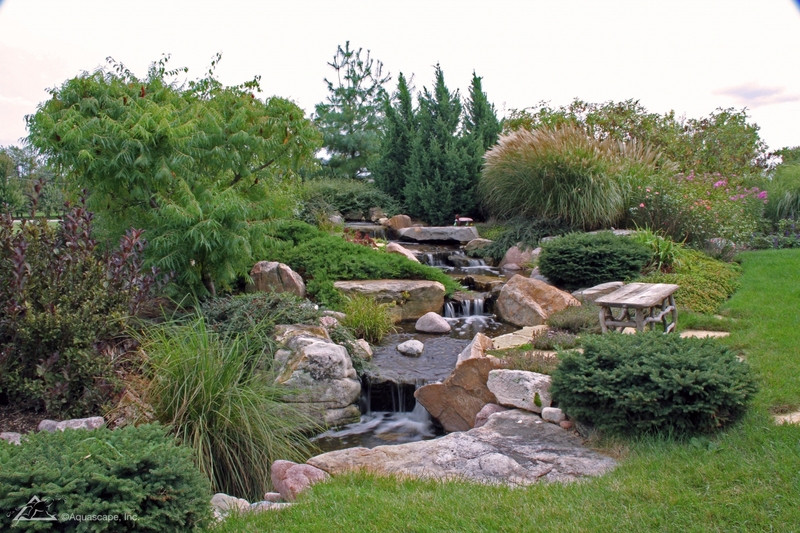 Ecosystem ponds are a great idea for any nature enthusiast! They can bring the sounds of the forest directly to your backyard. 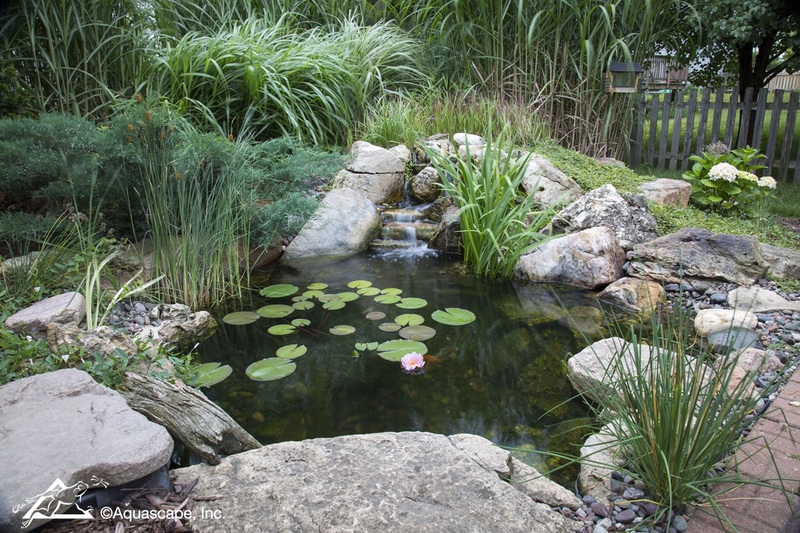 Frogs, fish, and plants beautify and enhance the entire feature. 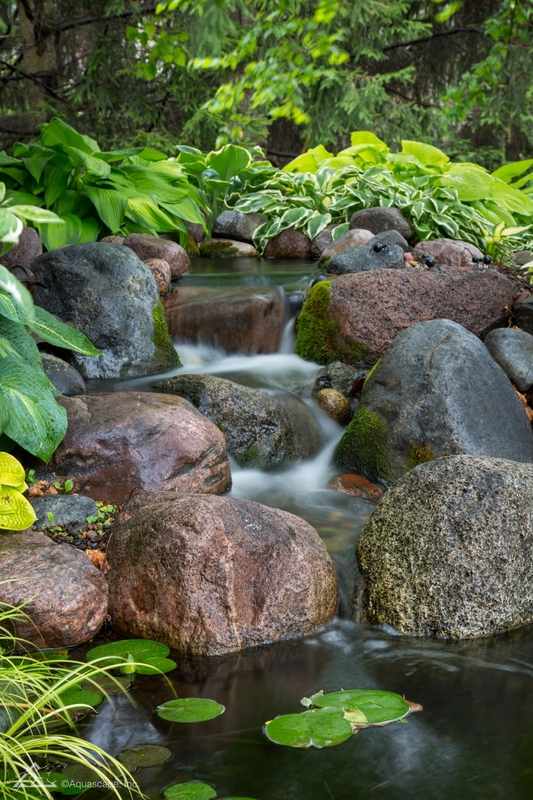 Perhaps your dream water feature will include a long stream? Waterfalls can be added, or removed entirely to make your wonderland reality! Perhaps the style of water feature you’re dreaming of is something a bit less… permanent. We carry water urns, fire urns, and fire & water urns! Plants and the sounds of nature on your patio can be right around the corner and made possible by these fountainscapes. 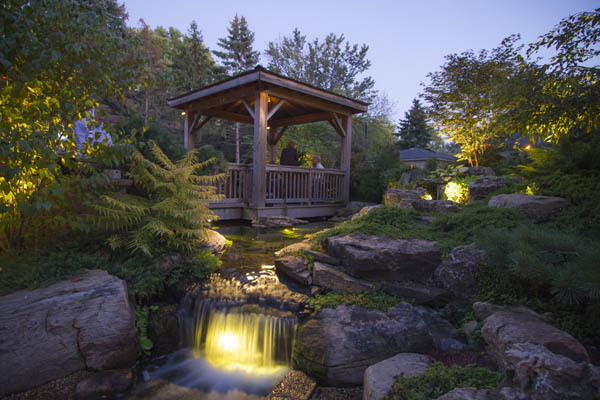 Placing a bench, or a gazebo next to your water feature can bring about many memories late at night with the water lights on. Using the perfect balance of fountainsapes and plant decor, you can find the water feature your favorite part of your home. 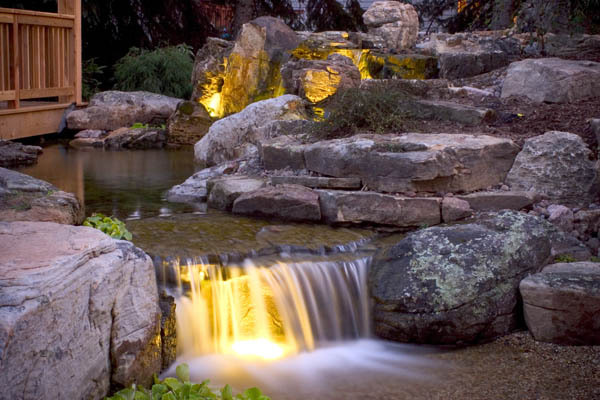 Pond lighting behind your waterfall can provide a unique experience! Try adding lighting to your pond.